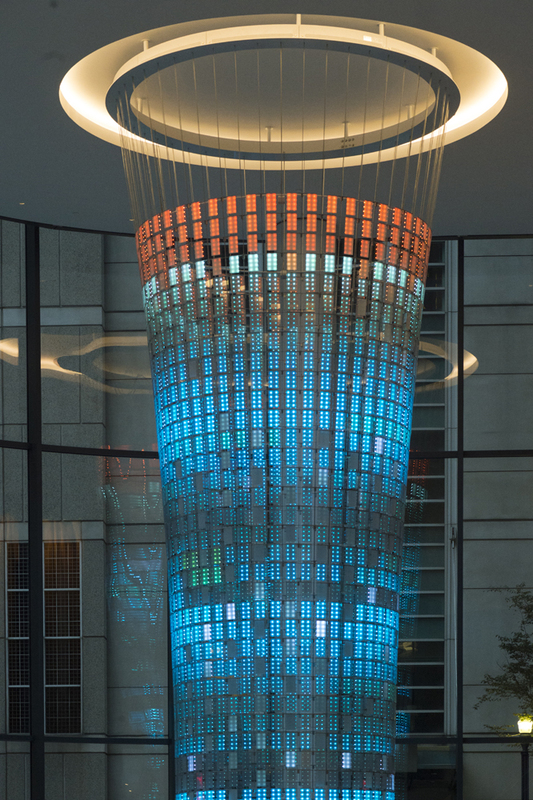 Consisting of 1,536 liquid crystal polycarbonate panels and an array of LEDs, The Beacon projects real-time data from The Tower at PNC Plaza’s building systems. 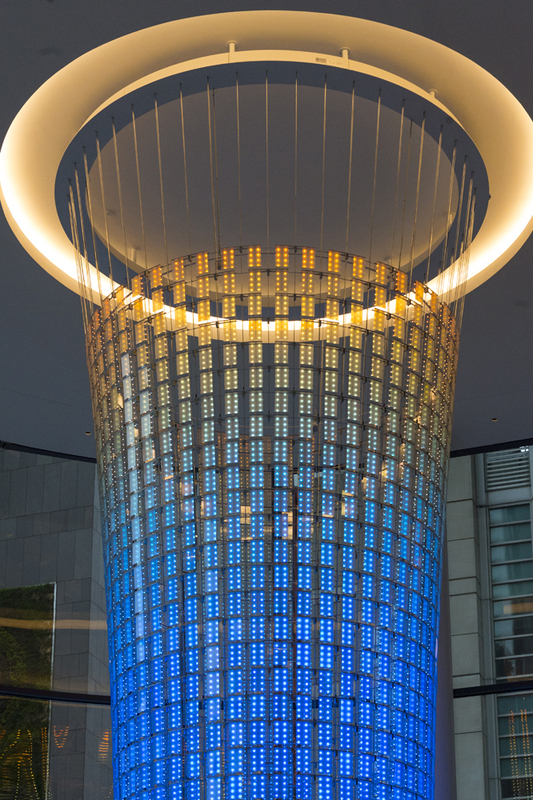 PNC’s new headquarters strives to be the world’s greenest office building, so PNC Bank hired ESI Design to create a sculpture in the building’s lobby that would convey the tower’s advanced sustainable systems to building occupants and the public. 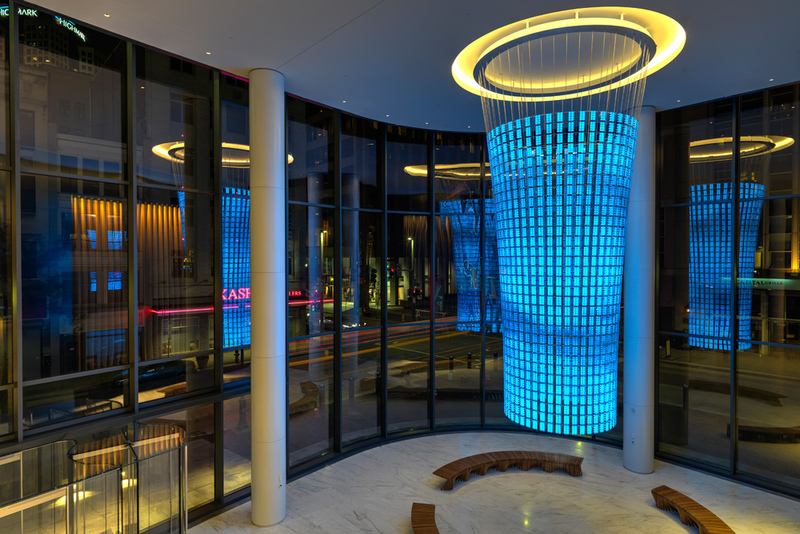 The Beacon’s displays focuses on five key modes that generate interpretive expressions related to sunlight, water use and recycling, energy, and ventilation. 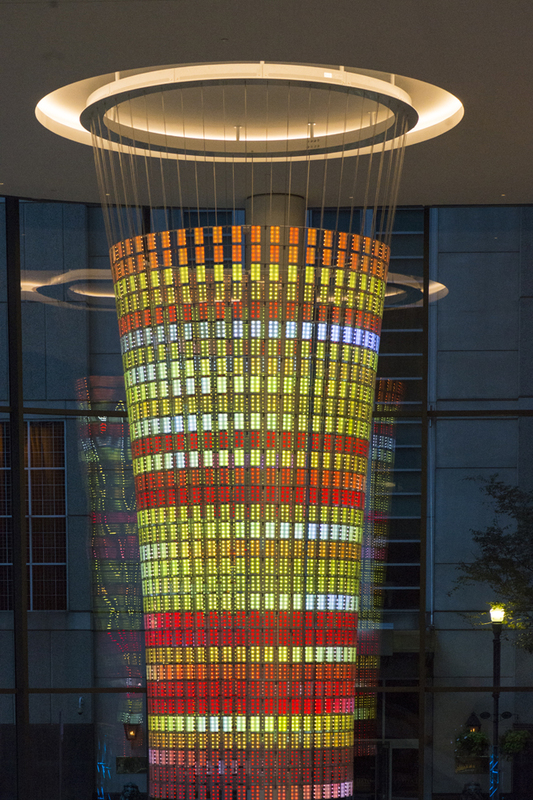 Collaborating with ESI Design on the sculpture’s form, Parallel provided industrial design, mechanical and electrical engineering, fabrication of all the electronics and metalwork, and installation. 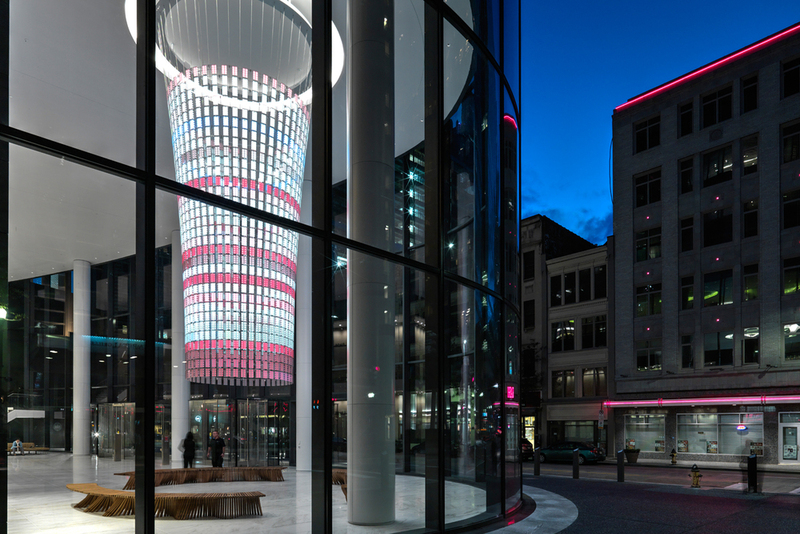 The liquid crystal (LC) tiles—similar to the product known as privacy glass, often used in conference room windows to alternate between opaque and clear—function as an extremely low-energy signage system, in keeping with the building’s environmental mission. 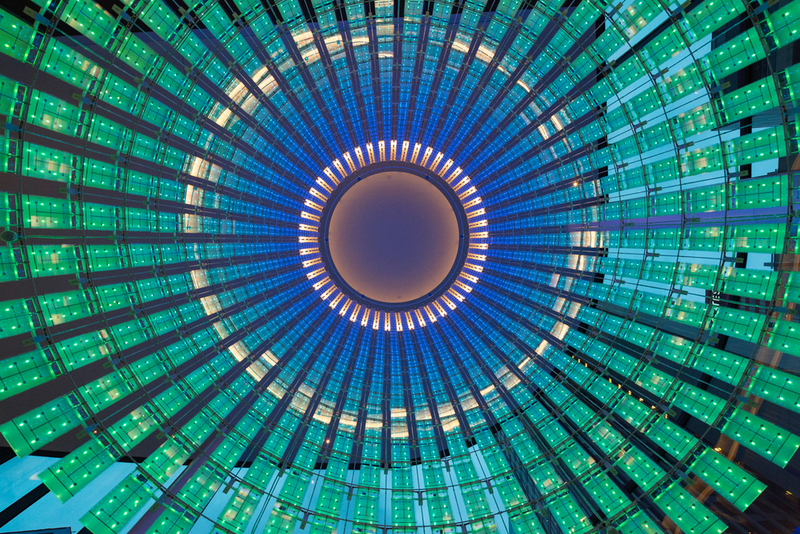 Parallel designed a custom control system to drive the LC tiles dynamically with the LEDs. 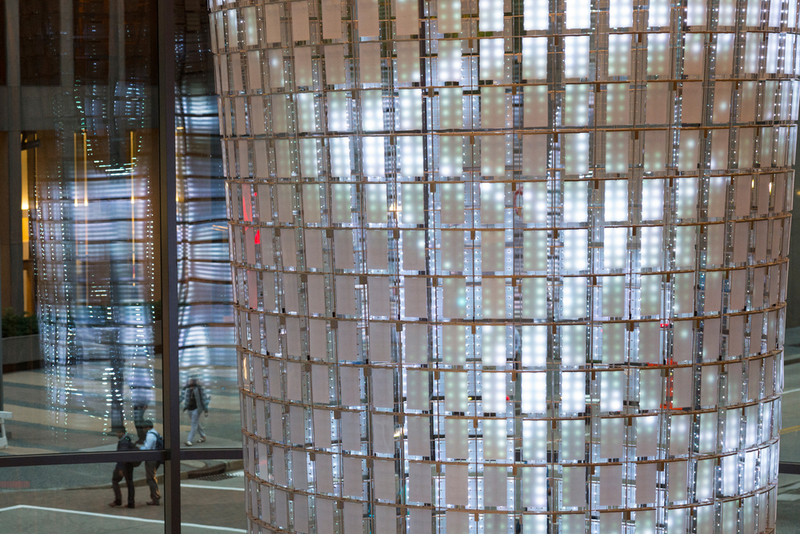 Containing 32 rows, representing the floors of the Tower, and 48 columns, the structure is made up of 768 aluminum modules of two LC tiles, each with a grid of 8 LEDs behind it. 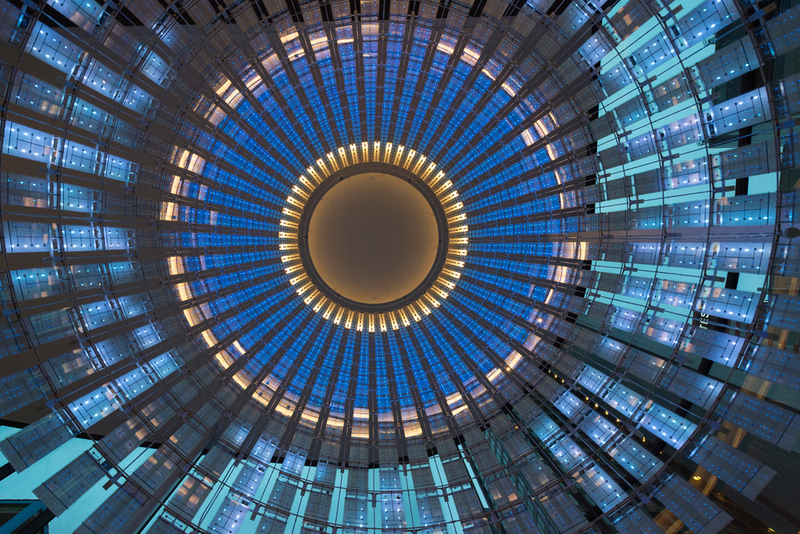 As the tiles turn clear, the LEDs are visible as distinct points; as they become more opaque, the tiles act as an adjustable diffuser. The modules hang on aluminum strands carrying power and data through clear silicone cables. 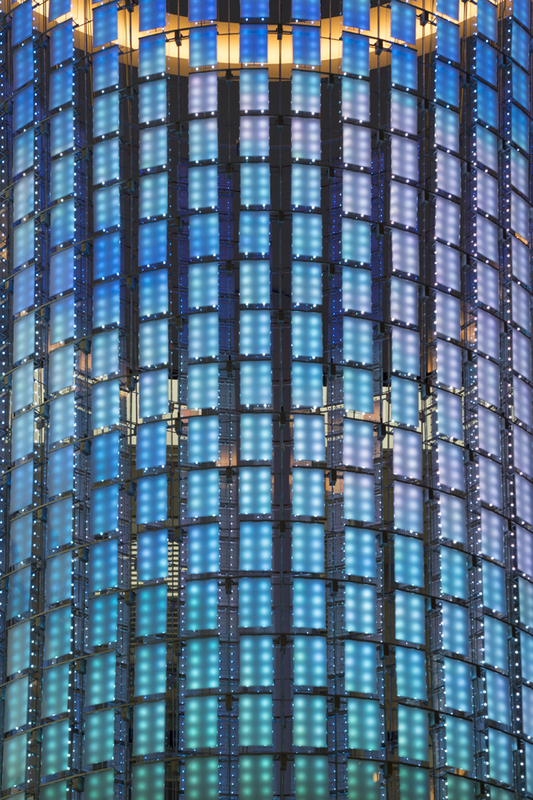 The LED combs were designed to be as thin as possible so that the opaque parts of the circuit board almost disappear. The back plane of the module consists of clear acrylic panels to keep the thin LED boards rigid. 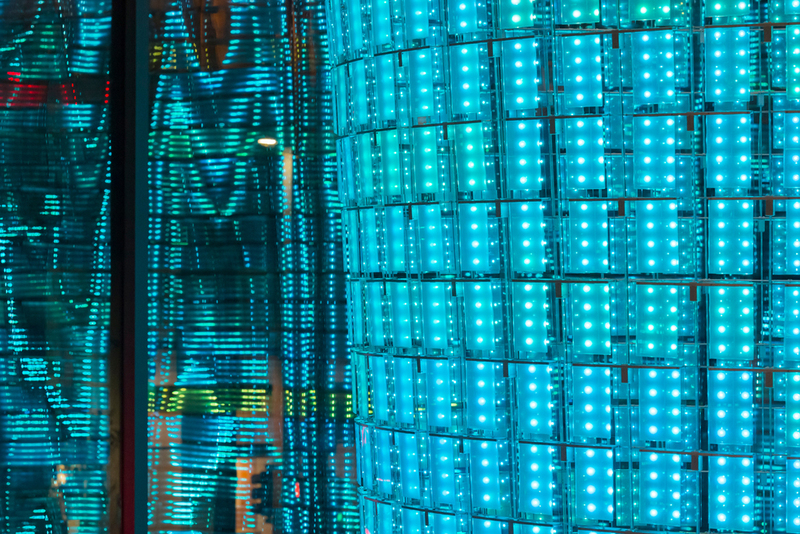 The piece is controlled by a single FPGA based board designed by Parallel called the Roxie—which uses DVI input from a remote computer and provides a one-to-one map of screen pixels to LEDs.